Are Father's the Boss in the House? The Head of Every Man is Christ. 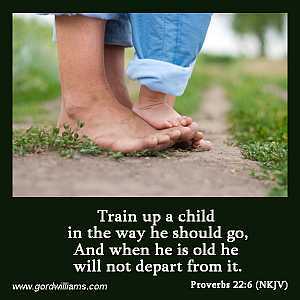 All fathers and mothers are entrusted by God to prepare their children in order to accomplish God’s plan for their lives. Many forget that Jesus had an earthly father as well, named Joseph, who adopted and guided him spiritually speaking (Lk. 3:23). Joseph helped prepare Jesus for ministry and to be our “Saviour of the World” (Matt. 1:20–21; Lk. 2:11). Apostle Paul explained, “the head of every man is Christ” (1 Cor. 11:3). Husbands should act like and represent Jesus when governing their families. This doesn't mean that they are the “boss”! It means that husbands should “volunteer to minister to his family” (Eph. 5:21– 22). The translation, "wives and children should be subject to the husband" is an incorrect translation of the Greek. It should read "to volunteer to minister to one other." Paul wrote in the bible, “Husbands love your wives” at least four times in the scripture, and with “agape” love or God's perfect love. As a imitator of God, a father must know Jesus Christ as his Saviour and Lord, and be “Baptized with the Holy Spirit.” We were designed in His image and entrusted with our families under the guidance of the Holy Spirit. "God’s agape love is poured into our hearts through the Holy Spirit who is given to us” (Rom. 5:5). Only then can we be the type of father Jesus wants us to be - capable of effective ministry to our families. This popular bible passage depicts "Jesus as the head of our families". Earthly fathers are responsible to make every effort to prepare their families to accomplish the purpose for which each family member has been born. It is those incredible Christian men, through their ministry to their wives and children (led of the Holy Spirit), who influence and transform this world we live in! If you, your family and/or friends would like to receive either Salvation, the Baptism of the Holy Spirit, a Gift of the Holy Spirit, healing, deliverance, etc., I invite you come to one of our house meetings or contact me. Copyright © 2018. The Gordon Williams Evangelistic Association. All rights reserved.